We call on you to create the world's largest Marine Protected Area around the Chagos Islands. 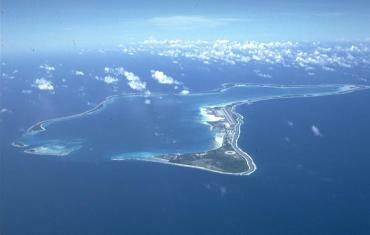 Ban commercial fishing in this area, and work with Chagossians to protect these important reefs and our oceans' future. The Chagos archipelago consists of 55 tiny islands in the Indian Ocean. It's the largest coral atoll in the world. On Friday March 5, the UK government closes a public consultation on whether or not to create the world’s largest Marine Protected Area around the Chagos Islands. Commercial fishing companies have voiced their opposition and are trying to keep these reefs open for business as usual. We can’t let that happen -- coral reefs are dying, and fish are fast disappearing from the oceans. This week's decision could be the catalyst that saves our oceans. **Update March 7: Over 230,000 people signed this petition in less than 5 days! The petition was submitted to Foreign Secretary, David Miliband, on Friday March 5, the public consultation deadline. The decision should be made in the next few weeks. Let’s keep growing the petition and we’ll send regular updates to Mr. Miliband.